My first finished quilt. EVER. I machine quilted it. It was another learning experience. Not so bad,but I struggled keeping my lines straight. And my tension on my first line was horrible. It's twin sized, backed in flannel and very cozy warm. And I love it. A lot. The binding is a flowered harlequin that I picked up because it had the brown, pinks, green and orange in it which is really as good as I was going to get without going with a scrappy binding. And here it is all folded up on the foot of the spare bed waiting for my parents' visit. 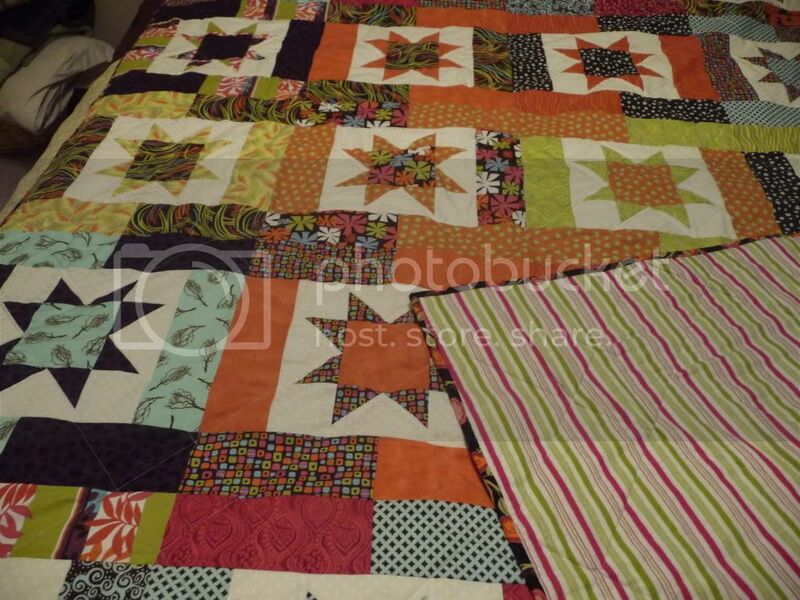 My first quilt finish belongs on Quilt Story's Fabric Tuesday... no? Tomorrow? I'm going to share the stash I bought in Canmore on my anniversary weekend! This is great! 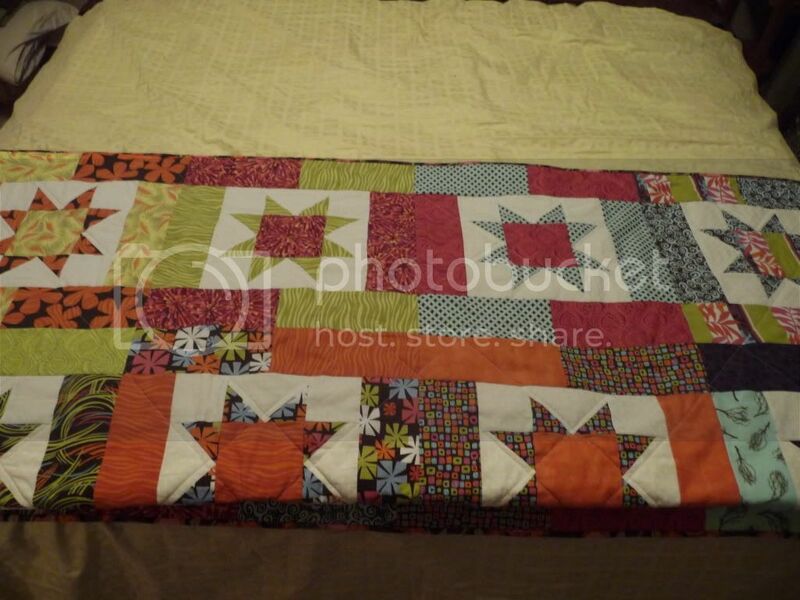 You cannot tell it is your 1st quilt! You should be proud! This is an amazing first quilt! Good for you! Good for you!! It is beautiful! It's great! 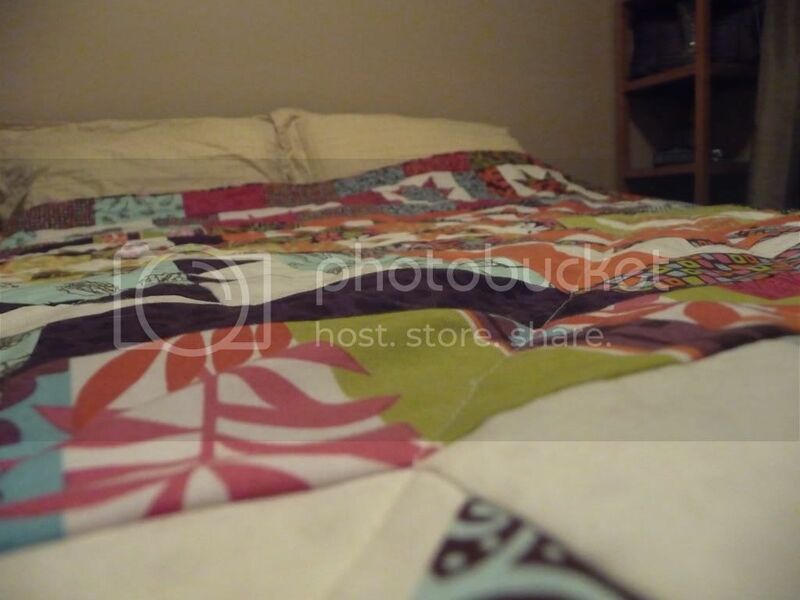 Congrats on your first quilt! Love love love it! So cute, and I can't believe it's your first?! Seriously! 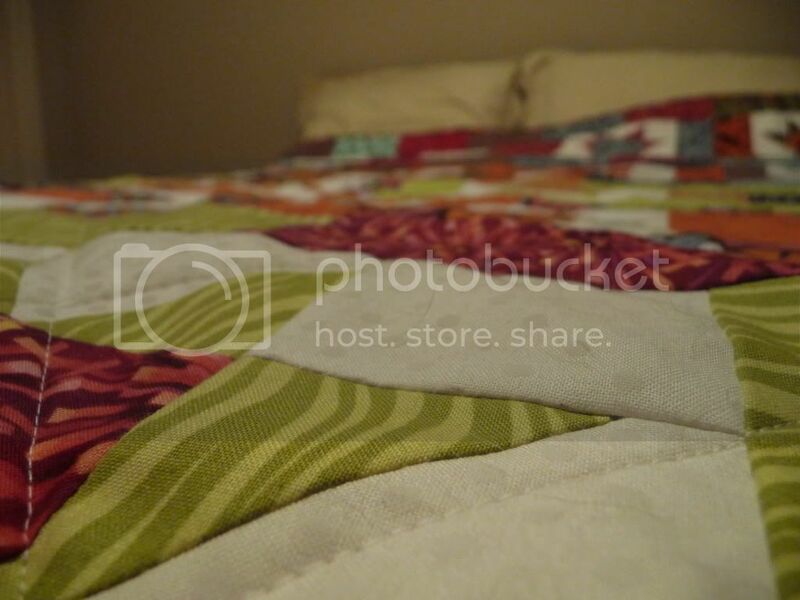 Well done :) And it definitely belongs on Quiltstory :) Thanks for linking up, we'll see you next week! Great job on your first quilt! I love the colors you choose, warm and snugally. 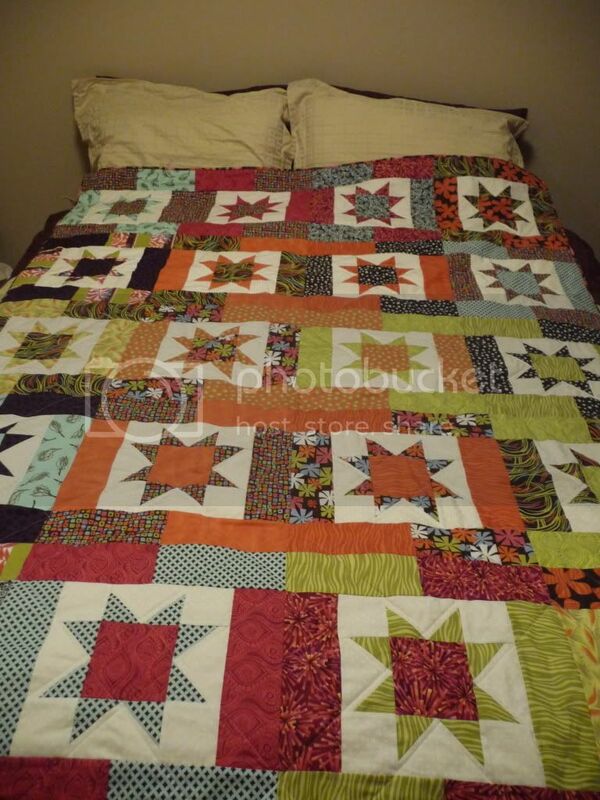 I think it is a great first quilt. We all started this way and it is good to hang onto that 'first' to remember where our journey started. Look forward to many more.